Umakant and Ramakant was born in Ujjain, Central India. Are one of India’s leading exponents of the Dhrupad style of music. 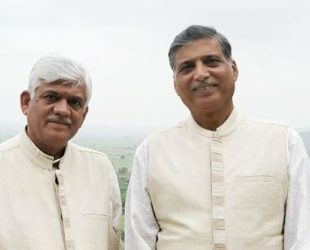 Known as the Gundecha Brothers, are leading Dagarvani dhrupad singers. Performing as Gundecha Brothers from last 33 years. Performed and conducted workshop in about 30 countries. They have been released nearly 40 Albums since 1985. Gundecha Brothers have a dhrupad institute where they teach students from all over the world.